I focus on investment sales of institutional quality industrial and office properties ranging in value from $5 million to $300 million. I team with Steve Disse, another investment sales professional, to represent numerous institutional and entrepreneurial investors. Our team is consistently recognized as the top industrial sales group in Chicago. During 2016, the team executed 20 sale transactions with a cumulative value of nearly $650 million. Also in 2016, Steve and I were awarded the Investment Sales Broker of the Year at the Chicago Food Depository Commercial Real Estate Awards event for the third time in our careers. I joined Colliers International in 1995 as an analyst for the firm’s Development Group and have ascended to be a Principal and Executive Managing Director, Investment Services | Central Region, my current role. I focus on investment sales of institutional quality industrial and office properties in Chicago and the Midwest ranging in value from $5 million to $300 million. 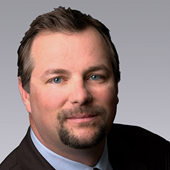 I team with Jeff Devine to form Chicago’s most active industrial investment sales team. Our team has more than 20 years of experience and has closed more than $7 billion in sale transactions. The team historically gains a 50 to 60 percent market share of Chicago-area industrial investment sales, and has closed more than $1.2 billion in sales over the last 24 months. In 2016, my partners and I were named the Investment Sales Broker of the Year at the Chicago Food Depository Commercial Real Estate Awards event. I work with Jeff Devine and Steve Disse in Colliers International Chicago's Investment Services Group as a financial analyst. I am responsible for property analysis on behalf of institutional pension fund advisors, life insurance companies, REITs and entrepreneurial clients. This includes conducting extensive market research and preparing detailed financial feasibility studies. I also coordinate with web-based marketing services. Prior to my current position, I was a financial analyst at Prentiss Properties where I worked on acquisitions, dispositions and development projects. In addition, I worked for Cushman & Wakefield in the Financial Services Group. Jeff Devine and Steve Disse's team is one of Chicago’s most active industrial investment sales team with more than $7 billion in sale transactions. Clients rely on me for expertise in investment sales of institutional quality industrial properties ranging in value from $5 million to $200 million. 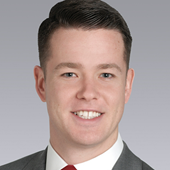 Since joining Colliers International | Chicago's Capital Markets team as a senior associate in 2016, I have been involved in the underwriting and marketing of more than 20 million square feet of industrial product on completed transactions totaling $2 billion in market value. The Capital Markets team is consistently recognized as the top industrial sales group in Chicago, closing nearly $650 million in sales in 2016. Prior to joining Colliers, I was a Senior Associate in the Real Estate Services Group at Duff & Phelps, where I worked on valuation and consulting of more than 3,000 individual real assets for large institutional clients. 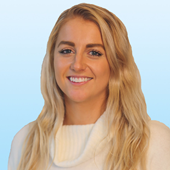 Liz is a marketing coordinator for Colliers International’s Chicago-based Investment Services Group. 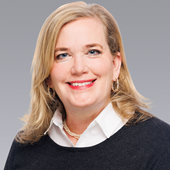 She works closely with Principals Jeff Devine and Steve Disse to manage sales of large scale industrial portfolios from listing execution to point of sale and due diligence collection phase. Additionally, she leads property marketing completion of all external pieces while communicating with clients and other members of the team. Prior to joining Colliers, Liz started her career in real estate when she interned at Mid-America Real Estate in Minneapolis, MN where she focused on tenant representation. Liz recently transitioned from a property administrator role for a portfolio of 20 commercial properties throughout Illinois to marketing coordinator within Colliers. She is currently in the process of obtaining her Illinois Real Estate License.